Before Scarlett Johansson and her Avengers castmates won their two awards, she posed solo on the red carpet this evening(November 11th) during the 44th E! People's Choice Awards at the Barker Hangar in Santa Monica, CA. 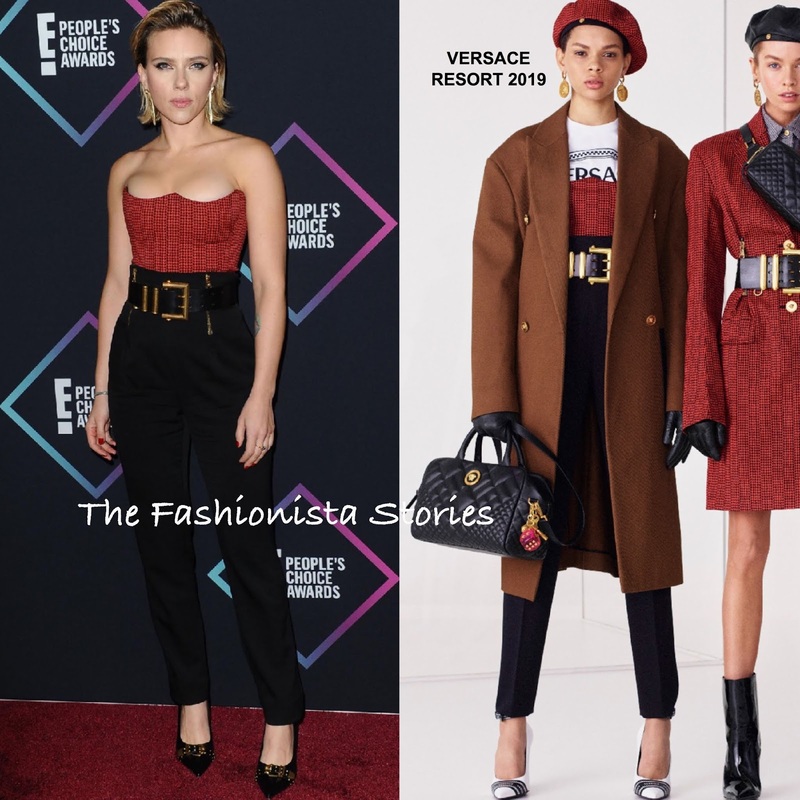 Turning to one of her go to designer brands, she wore a VERSACE RESORT 2019 strapless red & black houndstooth top and black belted, high-waisted trousers. The actress also wore black embellished pumps from the fashion house as well. The bustier looks a little tight on the bust but given the style, I am sure that is how the fit is suppose to be. Given the new direction of the PCA's, ScarJo's look worked for the occasion.